Just as I was having a power-nap (never underestimate the strength of a 20 minute power-nap) on the sun lounger the afternoon of our first Dinton Pastures 5km/10km Summer Series on Thursday 15 May 2014, Ian woke me up to say there was a call for me on the land-line. It was Sally Albin, marketing manager of L’Ortolan, a Michelin stared restaurant in Shinfield, Reading run by Alan Murchinson. I met Sally some years ago now at Athena Reading networking meeting and have met Sally at various networking events in the area since and also did some Personal Training with one of her teenage sons a few years ago. 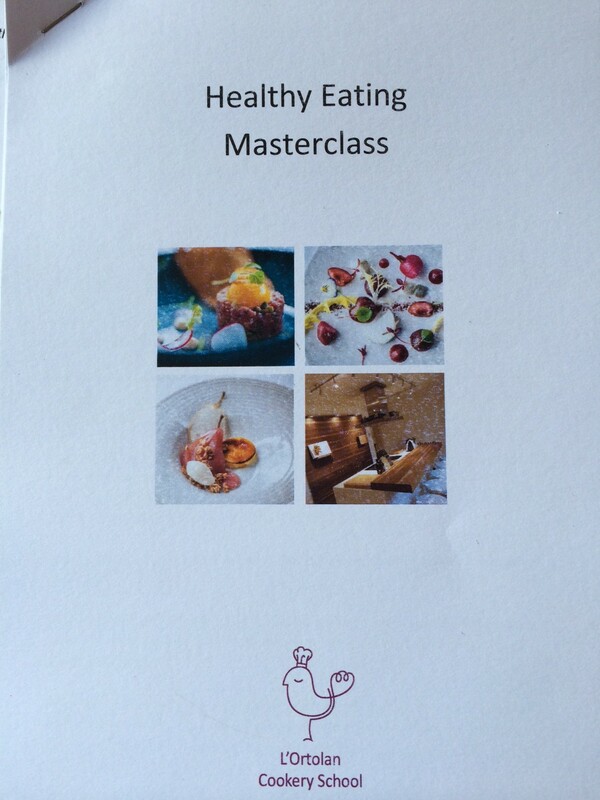 Sally was calling to invite me to a “Healthy Eating Masterclass” with Alan on Wednesday 21 May…how could I say no?! Not only is L’Ortolan the closest restaurant to our house, Alan has become a great friend as he is a GB Age Group Duathlete and actually won the Duathlon World Championships for his Age Group in Ottawa last year, when I scooped silver (not in the same age-group!!). Read more about Alan’s sporting prowess here. After a little stroll to L’Ortolan and being offered a “low-fat” croissant (ironic!) on arrival the five of us – two ladies from The Breeze radio station, Victoria Gill (an elite triathlete and fiance of Dan Bullock of Swim for Tri) and Caroline Kremer a Mal-alignment specialist who has worked with both Victoria and Alan, we were soon whisked upstairs to the demonstration kitchen. Whizz all the ingredients in a smoothie maker and enjoy! 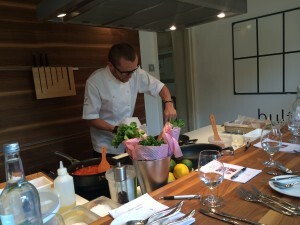 – Wagamana and Yo Sushi are the best default quick eat-out high street chains. 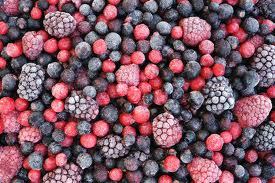 – Frozen fruit and vegetables are brilliant; Sainsbury’s sell bags of frozen red fruits that are perfect for smoothies. Bananas frozen in their skin taste amazing in smoothies.